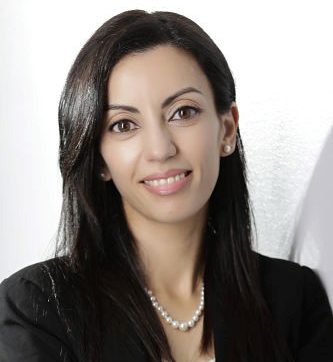 Fatiha Mabrok is a psychotherapist, a hypnotherapist, a personal & business coach (IN, ICCI) and a company consultant (sp. French and German markets). Polyglot, she proposes her services and support in 6 languages (French, English, German, Arabic (MA),Tamazight and Spanish). She contributes scientifically to the study of psychology, neuropsychology and psycho-oncology. Her specialties in therapeutic field are psychosomatic illnesses as well as the topic of cancer, depression and suicide. Education is a lifelong process. Education has different faces. School also called formal education, remains worldwide the main source of education. is supposed to give young people essential skills, develops critical thinking and self-confidence, creating a healthy foundation for everyone to succeed in life. But does that make everyone successful? No, it doesn’t. Struggles, procrastination and failure are part of the learning journey. Unfortunately, quitting too! School contributes to help you to build a knowledge. But it’s not enough. Many study cases show that being successful is not always related to your scholar path. Something essential seems to be missing in how school tries to make individuals successful: School doesn’t teach you about motivation neither it teaches you how to achieve your personal goal. The success process at school and in life resides in the motivational pathway. Using psychology theories such as the Maslow’s hierarchy of needs. I’ll explain what motivation is and I’ll present the most efficient, concrete and practical ways to be motivated, to stay motivated in order to achieve yours goals. During those 3 days, trainings, workshops and innovative protocols, unforgettable meetings and festive moments are waiting for you, during the World Congress 2019.